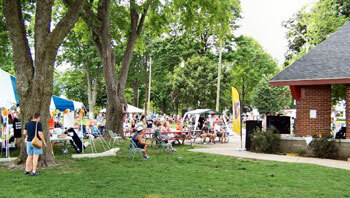 Just when you thought the summer in Ludington couldn't be filled with even more fun and entertainment, Ludington area graduates organized Ludrock, a wonderful event enjoyed by tourists and locals alike. 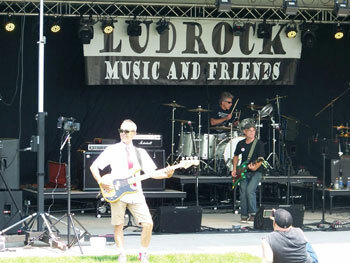 Held on the weekend closest to Ludington's popular Ludington Area Jaycees Freedom Festival, Ludrock features live music from local bands and musicians, and it's a don't miss event for the entire family. The event includes a Kids Crafts Area, food, drinks and event memorabilia available for purchase. Ludrock raised $36,000 in 2018. The 2019 event is scheduled for Saturday, July 6th and Sunday, July 7th. For 2019, the event will be held at Waterfront Park on West Filer Street in Ludington. The Ludrock entertainment roster includes performances by dozens of musicians who donate their time to the cause. Ludrock is a nonprofit organization inspired by the power of music to benefit the identified needs of the Ludington area. Ludrock's vision is to motivate and inspire current and future generations of musicians and provide an outlet to give back to the community. Proceeds from the 2016 Ludrock activities benefited the Ludington Area Center for the Arts for improvements to its Performance Hall, the Ludington Area Schools Youth Resource Center, Staircase Youth Services and Sandcastles Children's Museum. Other beneficiaries were the Bob Parker Music Scholarship Fund, Hospitality Inc. and the Food Bank at Lakeshore Resource Network. 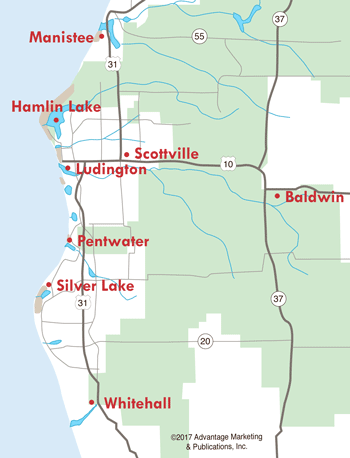 The Ludington Area Jaycees operated the food and beverage concessions, using the proceeds for its many community-based projects. Events are listed according to the information available at the time of the most recent update to this story. The schedule is subject to change. For more information, please see www.ludrock.com.